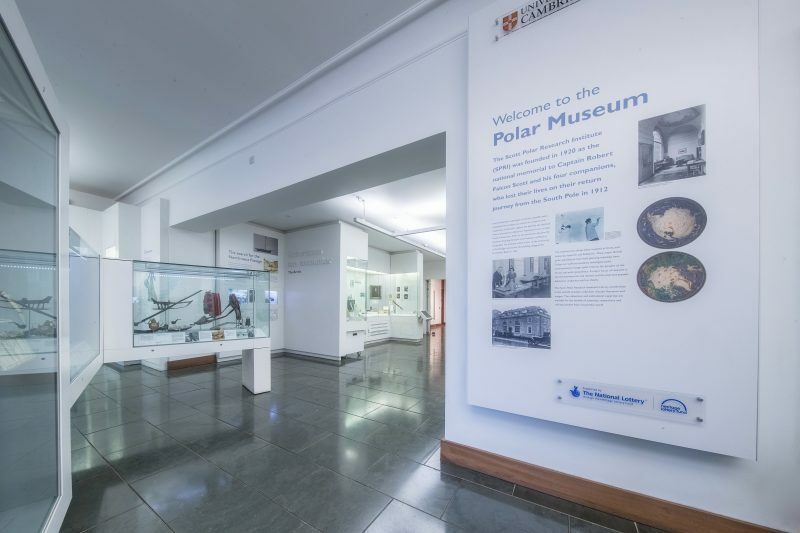 The Polar Museum at the Scott Polar Research Institute, University of Cambridge, is delighted to be hosting a BSHS Engagement Fellowship in the first half of 2018. Climate change, its impacts and our understandings of climate change are currently under-represented in the Polar Museum. Supported by the British Society for the History of Science, this post will enable a current postgraduate student to introduce historically informed climate stories into the museum. This supports our aim of ensuring that climate change is not relegated to contemporary science communication, but instead appears in a range of types of interpretation including arts and humanities based research. 2. Suggest and implement an update to one of our permanent displays that introduces the history of climate change. This might be, for example, an update to a display about the Northwest Passage that not only describes the nineteenth century search for the passage, but also introduces today’s tourism in the region as the ice retreats; it might involve looking at the science undertaken by Captain Scott’s crew and relating that to how theories of weather and climate developed; or it could be researching the work that the Scott Polar Research Institute undertook in the 1950s to map ice sheets and proposing a way to incorporate that into the display. The Fellowship, which is worth £2000, provides for one month’s work, taken flexibly. The BSHS generously provide up to £1000 towards the delivery of this project. As part of the Fellowship the successful applicant will propose a budget for the delivery of the project, with the support of the Museum Curator. We recognise that this may include making a case for further funds from the Museum’s budget. Both of these projects will require working with external suppliers and their delivery schedules, meaning that the work will need to be spread across a period of several months. The Polar Museum can reimburse reasonable travel costs for the successful applicant. To apply please produce a single A4 page outlining your proposed project, the skills you hope to gain from the Fellowship and a brief CV; this should be sent to the Museum Curator, Charlotte Connelly, at [email protected] by midnight on Monday 15 January. Your application should clearly state your name and contact information. Please also tell us where you heard about the opportunity. Please note, shortlisted candidates who are not British citizens will be required to provide proof of their eligibility to work in the UK. For more general enquiries about the scheme contact Dr Liz Haines at [email protected].